RTTY (or Radio Teletype) is one of the oldest data modes in radio, let alone Amateur Radio – and this Tuesday, the members of Wythall Radio Club are going to be getting some expert advice in how to get on the air with it. Lee G0MTN is one of the world’s top RTTY contesters and better still, he is a member of our club! So we are lucky indeed to have him on hand to give us some expert tuition in taking our first steps into this data mode. With plenty of practical tips and a live demonstration too, this is sure to be an inspiring evening. Visitors are welcome of course – just make sure you are at Wythall House in time for the start at 20:30. Silver Street B47 6LZ is the address and you can find us in the club rooms in the basement. Real ales are on tap too, so what’s not to like? See you there! 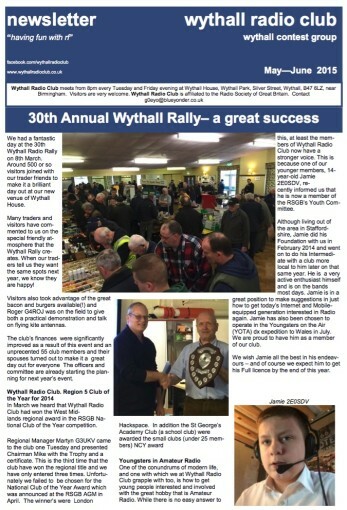 The latest issue of the Wythall Radio Club Newsletter has been published this morning. Editor Chris G0EYO has been burning the midnight oil to get this issue out as soon as possible. 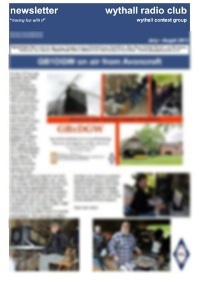 At 10 pages it is the largest newsletter we have ever produced. Download it here or just click on the newsletter graphic on the left of this site to get it. It’s a great read! Who’s won the Easter Contest? This Tuesday, the results of the Wythall Radio Club Easter Contest will be revealed! 1st, 2nd & 3rd place prizes! Yum yum! For the last couple of weeks, adjudicator Lee G0MTN has been sifting the wheat from the chaff and coming up with the winners to present at this week’s club meeting. 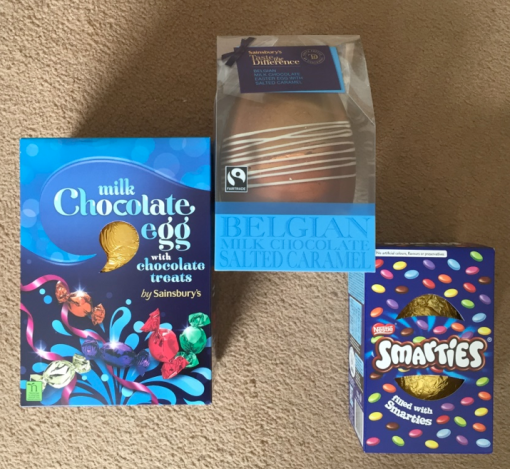 Wythall’s Easter Contest is a relatively relaxed affair compared with the busy-ness of our Christmas contest and is much enjoyed by members over the holiday period. This Tuesday though, someone is in for a late Easter prezzie! The first, second and third placed winners in two sections all receive an Easter Egg – that means there will be no less than 6 lucky winners this week! Come and see what the fuss is about in the Club Training Room at Wythall House, Silver Street, B47 6LZ at 20:30. Who knows? The winners might even share some of their chocolate? Then again, maybe they won’t! One of the conundrums of modern life, and one with which we at Wythall Radio Club grapple with too, is how to get young people interested and involved with the great hobby that is Amateur Radio. While there is no easy answer to this, at least the members of Wythall Radio Club now have a stronger voice. 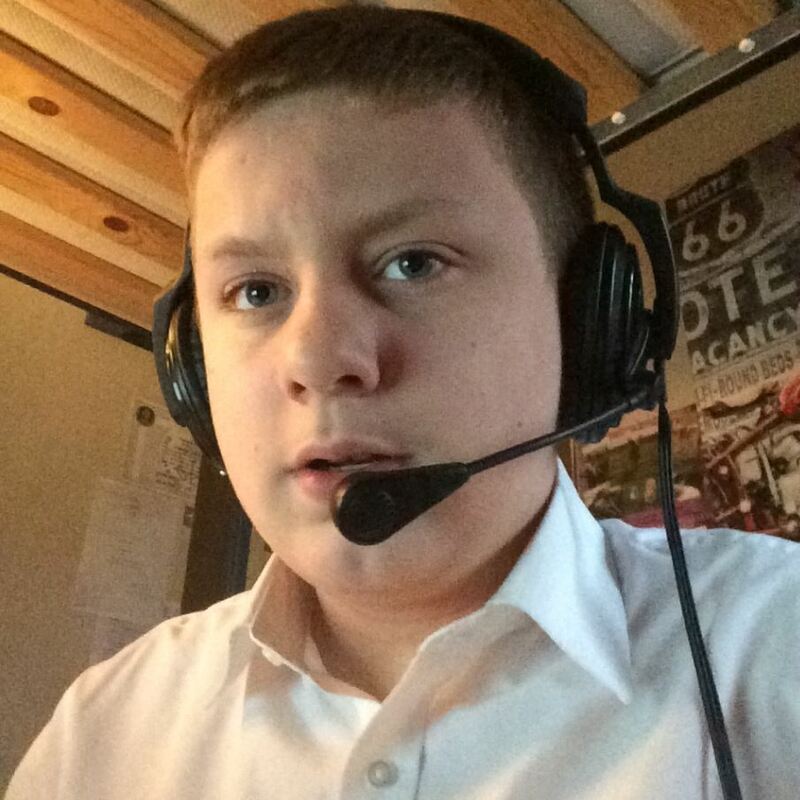 This is because one of our younger members, 14-year-old Jamie 2E0SDV, recently informed us that he is now a member of the RSGB’s Youth Committee. As a very active enthusiast himself, he is in a great position to make suggestions in just how to get today’s Internet and Mobile-equipped generation interested in Radio again. We wish Jamie all the best in his endeavours – and of course if you have any suggestions, why not let him know? 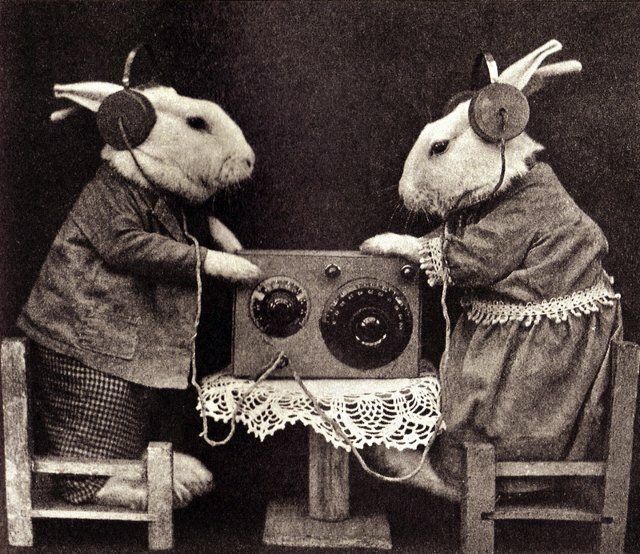 The members of Wythall Radio Club wish all readers and visitors to this website a very happy Easter! At the moment, we are deep into our members’ Easter Contest. Those of you within earshot of the area will doubtless have been a little bemused by lots of number exchanges going on. Don’t worry, it will all be over by tomorrow night and the airwaves around here will be settling down once more into some sort of normality. This Tuesday we will having a rest from our usual hectic weekly programme – it’s a “Free ‘n’ Easy” night – a great evening to pop along if you were ever thinking of coming to visit us sometime. Better D-STAR coverage for our local area! The latest snippet for you is that we have yet another repeater cleared for operation. This time it is GB7SO, the new D-STAR repeater for Solihull & Wythall. Based half-way between the two towns, it should provide good coverage of the area and also the M42/M40 links. GB7SO is an update of the simplex gateway we have been running for the past year but will soon provide talk-through coverage as well as links to the wider D-STAR world via the Internet. Wythall Radio Club is now the proud owner of a new trophy. 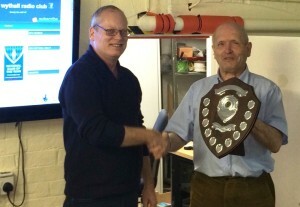 Last night, RSGB Region 5 Manager, Martyn Vincent G3UKV presented our Chairman Mike G4VPD with the “Club of the Year” trophy for our area. This is the third time we have won this title since it began… and indeed only the third time we have entered the competition, so you could say it’s a 100% record. It is good to see our club recognised outside of our immediate circle for the hard work that so many members put into making the hobby of Amateur Radio accessible. Here’s to another great year coming up – will you be part of it?